As part of our efforts to continue to have a strong agency network, Second Harvest conducted a gap assessment in Lorain County to determine areas lacking food pantries and hot meal programs. With the closure of a number of food pantries in the city of Lorain, Second Harvest started an effort to find new sites in the extreme high poverty areas of those cities lacking food pantries. We have been able to identify several possible new partner charities in the targeted areas who are considering partnering with us to run mobile pantries. The first mobile food pantry started in partnership with El Centro de Servicios Sociales in March 2012 at their new facility in South Lorain. Boxes are packed by volunteers at Second Harvest and then shipped over on the day of distribution with available fresh produce and bread. 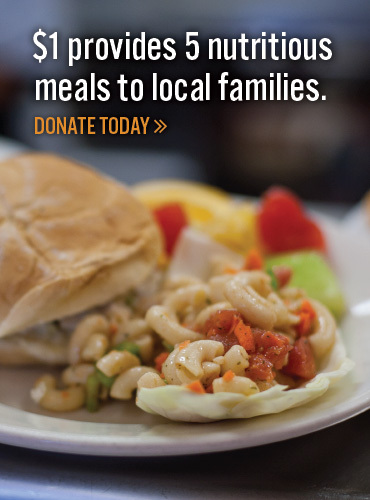 Currently 300+ families are served each month with a box of food weighing approximately 30 pounds, filled with a variety of grocery items for breakfast as well as dinner and available perishable items if available.